Every once in a while we have a podcast interview with someone that really makes us rethink some of the popular positions in Artificial Intelligence (AI) and Machine Learning (ML). 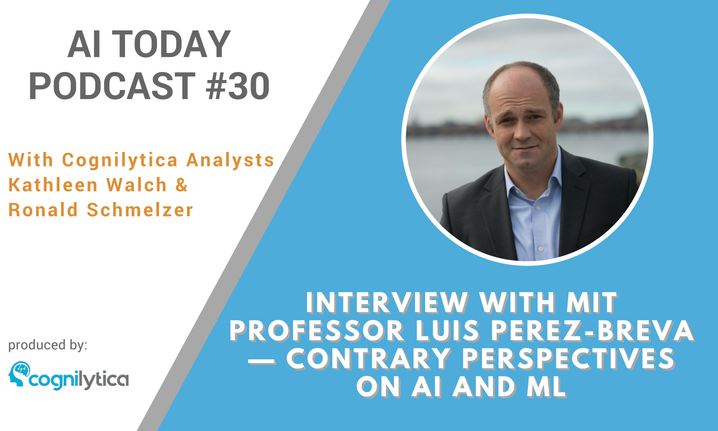 This podcast’s interview with Luis Perez-Breva, faculty director of innovation teams at MIT’s School of Engineering and working with MIT Sloan School of Management, was one of those that really got us thinking about the relationship between data and Machine Learning and between Machine Learning and AI. Luis asks the question as to whether most ML projects are truly AI projects or are just exercises in statistics and math-based analytics. He further goes on to question whether many of the AI implementations in the retail industry are going to achieve the outcomes that the retail industry hopes for AI, and whether they are going about it the right way. Regardless of where you currently stand with regard to the relationship between ML and AI and AI adoption in retail, this podcast will get you thinking. We’d love to hear your thoughts on the subject as well!